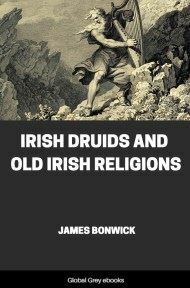 This classic of neo-Paganism is one of the few books which purports to be an actual sacred text of traditional witchcraft, in particular that of the Tuscan region of Italy. Charles Leland based this book on material which he received from a woman named Maddelena, who had assisted him in collecting regional Italian folklore. On New Years day, 1897 she handed over to him a document in her own handwriting, the Vangel, which is the core of this book. Maddelena then reportedly went missing, and never contacted Leland again. The authenticity of Aradia has always been in question. 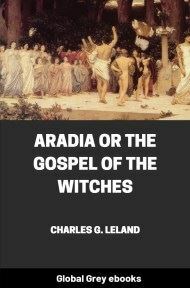 Ronald Hutton, in his scholarly study of the roots of neo-Paganism, The Triumph of the Moon, presents three divergent theories about Aradia: first, that is a genuine text of an underground Italian Goddess religion, second, that Maddelena wrote it based on her family tradition, or third, that Charles Leland forged it based on his extensive knowledge of folklore. Each of these theories has pros and cons: it may be that the second and third are closest to the truth. 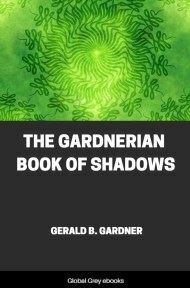 Whatever the source of this material, it has had a profound impact on the emergence of neo-Paganism, and is required reading for anyone interested in the subject. 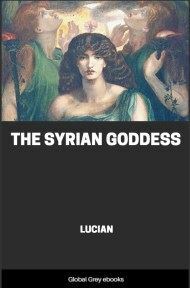 If the reader has ever met with the works of the learned folk-lorist G. Pitre, or the articles contributed by "Lady Vere de Vere” to the Italian Rivista, or that of J. H. Andrews to Folk-Lore, he will be aware that there are in Italy great numbers of strege, fortune-tellers or witches, who divine by cards, perform strange ceremonies in which spirits are supposed to be invoked, make and sell amulets, and, in fact, comport themselves generally as their reputed kind are wont to do, be they Black Voodoos in America or sorceresses anywhere. But the Italian /strega/ or sorceress is in certain respects a different character from these. In most cases she comes of a family in which her calling or art has been practised for many generations. I have no doubt that there are instances in which the ancestry remounts to mediaeval, Roman, or it may be Etruscan times. The result has naturally been the accumulation in such families of much tradition. But in Northern Italy, as its literature indicates, though there has been some slight gathering of fairy tales and popular superstitions by scholars, there has never existed the least interest as regarded the strange lore of the witches, nor any suspicion that it embraced an incredible quantity of old Roman minor myths and legends, such as Ovid has recorded, but of which much escaped him and all other Latin writers. 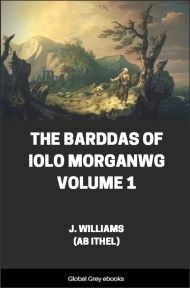 This ignorance was greatly aided by the wizards themselves, in making a profound secret of all their traditions, urged thereto by fear of the priests. In fact, the latter all unconsciously actually contributed immensely to the preservation of such lore, since the charm of the forbidden is very great, and witchcraft, like the truffle, grows best and has its raciest flavour when most deeply hidden. However this may be, both priest and wizard are vanishing now with incredible rapidity — it has even struck a French writer that a Franciscan in a railway carriage is a strange anomaly — and a few more years of newspapers and bicycles (Heaven knows what it will be when flying-machines appear!) will probably cause an evanishment of all. Among other strange relics, she succeeded, after many years, in obtaining the following "Gospel”, which I have in her handwriting. 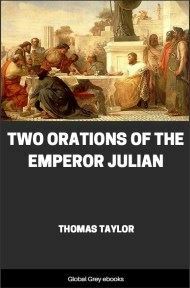 A full account of its nature with many details will be found in an Appendix. I do not know definitely whether my informant derived a part of these traditions from written sources or oral narration, but believe it was chiefly the latter. However, there are a few wizards who copy or preserve documents relative to their art. I have not seen my collector since the "Gospel” was sent to me. I hope at some future time to be better informed. For brief explanation I may say that witchcraft is known to its votaries as la vecchia religione, or the old religion, of which Diana is the Goddess, her daughter Aradia (or Herodias) the female Messiah, and that this little work sets forth how the latter was born, came down to earth, established witches and witchcraft, and then returned to heaven. With it are given the ceremonies and invocations or incantations to be addressed to Diana and Aradia, the exorcism of Cain, and the spells of the holystone, rue, and verbena, constituting, as the text declares, the regular church-service, so to speak, which is to be chanted or pronounced at the witch-meetings. 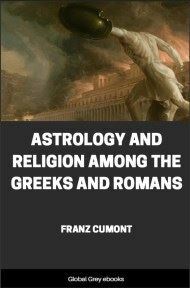 There are also included the very curious incantations or benedictions of the honey, meal, and salt, or cakes of the witch-supper, which is curiously classical, and evidently a relic of the Roman Mysteries. The work could have been extended ad infinitum by adding to it the ceremonies and incantations which actually form a part of the Scripture of Witchcraft, but as these are nearly all — or at least in great number — to be found in my works entitled Etruscan-Roman Remains and Legends of Florence, I have hesitated to compile such a volume before ascertaining whether there is a sufficiently large number of the public who would buy such a work.